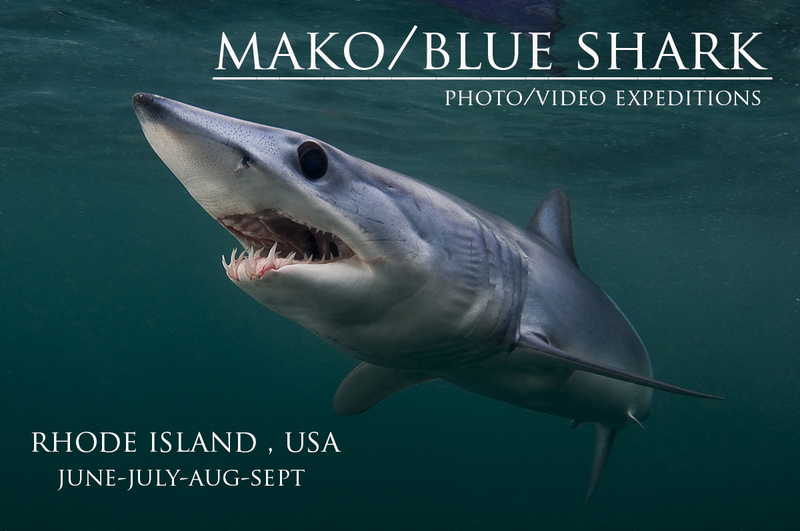 Come to Rhode Island during the summer to experience the blue & mako sharks with Joe Romeiro & Brian Raymond. These sharks travel to New England every year for 3-4 months. This is by far one of the best places to see these incredible animals. Emerald and blue water makes Rhode Island one of the best places to photograph. Perfect for serious photographers and videographers. Silence is key to seeing very shy species. We have also encountered duskies, smooth hammerheads, tigers and basking sharks. We haven even seen a whale shark. Possible and hopeful encounters include thresher, porbeagle and great white sharks.